The Latest from the LHC : Last period of proton running for 2010. When various teams work together efficiently to achieve a common goal, not only are projects successfully completed but they may ever be ready before the deadline. On 22 October, after two years of civil engineering work and about two months ahead of schedule, the building that will host the new Linac4 was unveiled in the presence of the Director-General and of Steve Myers, Director for Accelerators and Technology. Entrance to new Linac 4 tunnel. For the time being, the new two-storey 3000 m2 building looks like a huge empty hangar. 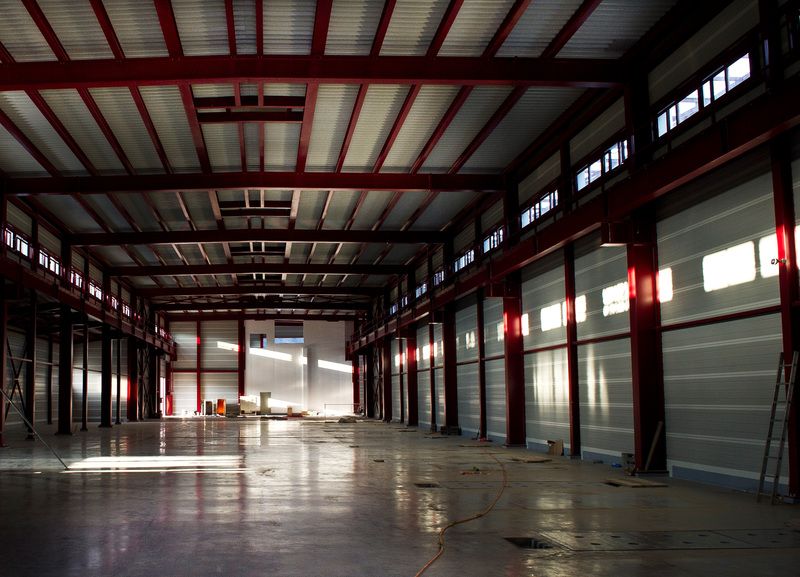 Very soon, though, the ground floor will start to be filled with the technical equipment and the klystrons. The Linac4 itself will be installed in the tunnel excavated below the ground. 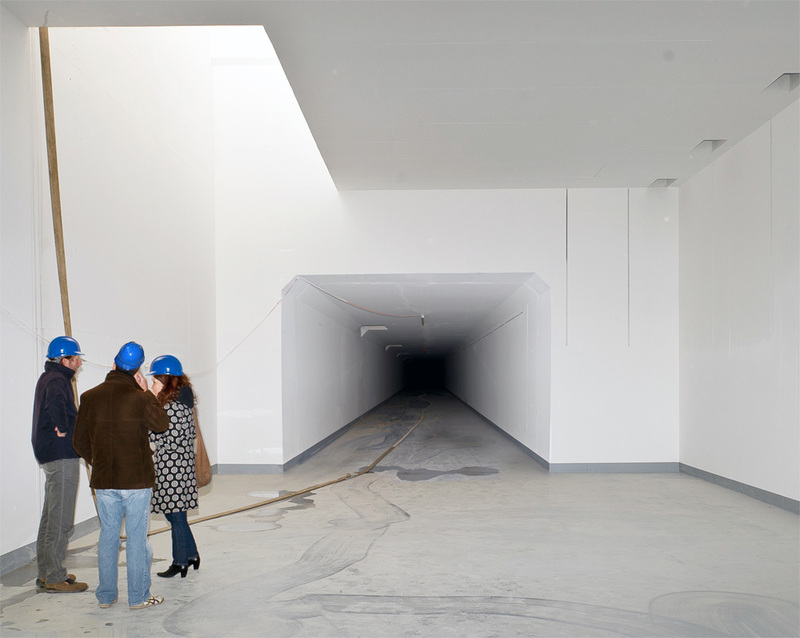 “Being 12 metres underground, deep inside what remains of the old “Mount Citron”, the tunnel provides excellent shielding for the new accelerator”, says Maurizio Vretenar, Linac4 Project Leader. The tunnel will be connected to the PS Booster that sits on a level two and a half metres higher. “One of the challenges we faced was having to build the tunnel up to the wall of the PS area without causing any interference to the running machines. All the activities, in particular the excavation, have been conducted with great care, in order to minimize any shocks and vibration”, explains Luz Anastasia Lopez Hernandez, the CERN official responsible for the civil engineering of Linac4. Indeed, Linac2, the PS Booster and the PS are the start of the LHC injector chain and any disturbance to them could interfere with the overall performance of the accelerator chain. Ground-floor of the new Linac 4 building. But that’s not all. In addition to the technical constraints - which also included the maximum length available for the tunnel, a challenge for the accelerator experts – CERN engineers faced another problem: given the position of the tunnel, the new building would have had to sit across the French-Swiss border, just a few metres from a 200 year-old milestone dating back to the Congress of Vienna. Current regulations forbid this, so the final shape of the building was non-rectangular, cleverly avoiding the borderline! “The secret to the success of the work was the good cooperation among the teams working under the excellent coordination of the GS Department”, says Maurizio Vretenar. “Every problem that came up during the construction work was solved in record time. This allowed us to be ahead of schedule and within the budget”. The first modules of the new Linac4 are expected to arrive and be lowered down in 2012. The accelerator should be completed by 2014. Linac4 is one of the major renovation projects for the CERN accelerator complex and is the first project to be built in the framework of the LHC upgrade programme approved by the CERN Council which allocated additional resources amounting to 240 MCHF for the period 2008 to 2011. Linac4 is scheduled to be commissioned in 2013-14 and connected to the PS Booster during the 2016 shut-down. It will supply beams at an energy of 160 MeV, compared to the 50 MeV beams of the current Linac2. This will make it possible for the PS Booster to deliver a beam intensity twice as high, which will contribute to increasing the LHC’s luminosity. Moreover, Linac4 has been designed to take into account future upgrades of the accelerator complex.